December and the holidays have you stressed out? You aren’t the only one! Holiday season brings so many extra demands to our everyday lives. Traffic increases, weather becomes unpredictable, your kids have concerts and events and tests, you have to work overtime, the list goes on! On top of that, preparing for the holiday meals and gift giving can over-stress anyone! 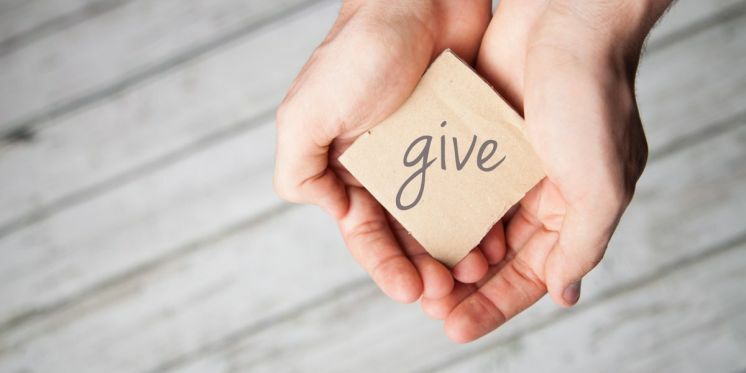 Despite the potential financial hardships of giving, volunteering, donating, and gifting has been shown to lower blood pressure, stress levels, and promote greater happiness and self-esteem! 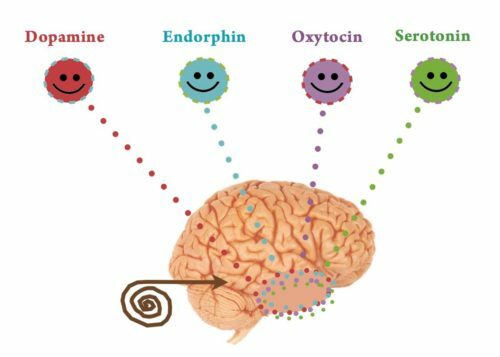 Giving activates certain chemicals in our brains that make us feel good, such as serotonin, dopamine, and oxytocin! In addition, it also can release endorphins! What’s not to love? Worried about finances? I don’t blame you. Christmas is an extremely expensive holiday, and shopping for it can make it even more of a drag when everyone else is doing their shopping as well. Think about crafting your own gifts, or giving smaller gifts. During these highly stressful times as well as the beginning of the cold and flu season, it is important to increase self-care and stress reduction. However, healthy lifestyle list of 2017 has room for one more: giving! Don’t forget to continue to take care of yourself during the holidays so you can enjoy them to the fullest! Come into G-Spa Massage Clinic today to take advantage of our December Promo! Give the gift of health and get 30 minutes back: purchase 2 gift certificates of $95 or more each and receive a FREE 30 minute massage! With Halloween and the holiday season just around the corner, it’s easy to get wrapped up in the sweet treats the accompany all the celebrations! Though enjoying a decadent dessert every once in a while isn’t awful, it is great to know what consuming too much refined sugar does to our bodies, and some healthy alternatives that are just as delicious! 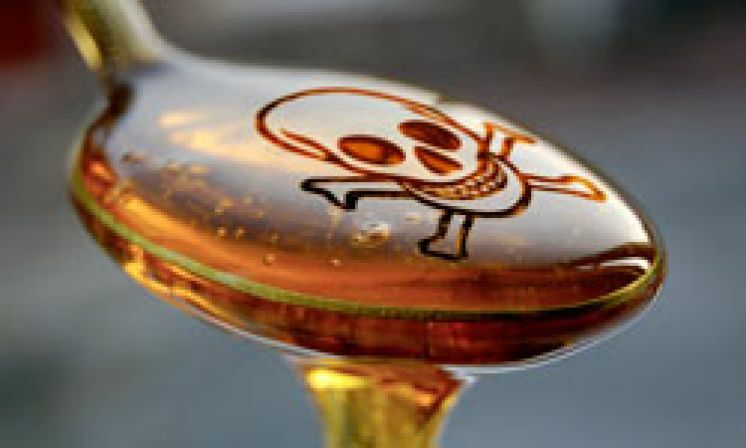 While our bodies need glucose and fructose (naturally occurring sugars) on a daily basis to regulate our cellular metabolic processes, eating excess sugar (added concentrated sugars such as high fructose corn syrup) only impacts the body negatively. Consuming too much sugar puts one at risk for developing Type II diabetes and obesity, which can also lead to other health problems as well. When there is excess sugar in the body, the pancreas and the kidneys are left to filter what the body does not need, which over time creates chronic stress on those organs. High blood sugar can also lead to insulin resistance, fatty liver disease, hypertension, and kidney disease. So, how can we all avoid excess sugar intake, but still have a great time during the holiday season? First, opting for a fruit based dessert can greatly increase the nutritional value of the dessert, and also lower sugar intake as well (Check these out!). However, when baking, opt for using the ‘less bad sugars’, such as coconut sugar, honey, maple syrup, and molasses. Coconut sugar is slightly lower on the glycemic index than table sugar which is great for people wanting to monitor their blood sugar. In addition, each one of these contains unique nutritional value that you may not obtain from eating table sugar. For example, maple syrup contains antioxidants, and coconut sugar contains more iron, zinc, calcium and potassium. Another great substitute for table sugar is stevia, which contains zero calories and has no known links to weight gain. It is important to still moderate your intake of anything sweet and maintain a healthy level of physical activity. Any amount of excess sugar can lead to weight gain and serious illness over time. As a guideline, WebMD states that women should aim to consume 6 teaspoons of sugar a day, while men should aim for 9 teaspoons. So when you are preparing for your holiday get together, consider opting for some alterative ingredients and save yourself the worry! Come into G-Spa Massage Clinic this month to buy an Obsidian Hot Stone Massage receive one FREE Meal & Beverage from the Linden-Baldwin Café in Long Beach. As we go through life, our bodies endure the wear and tear that comes with fast paced lifestyles and age. Unfortunately, the older we get, the more time it takes to recuperate from injury, strain, and illness. If we do not care for our bodies with regular exercise, healthy diet and stress management, these things may take even longer or even become chronic. With age, cells gradually lose their ability to function, multiply, and can even begin functioning abnormally. Since cells make up all of the body’s anatomy, we can see changes in muscle, nerve, and organ operation. For example, muscles may gradually lose their elasticity with age and are less likely to build that flexibility again. Immobility can even lead to muscle atrophy, which is where cells shrink in size so much that the organ or muscle loses its ability to work at all. Another prominent change in your body over time is the efficiency of your cardiovascular system. Over time, your blood vessels and arteries stiffen. In addition, your resting heart rate becomes slower than what it was at a younger age. These two effects of aging produce less blood pumped throughout your body overall. 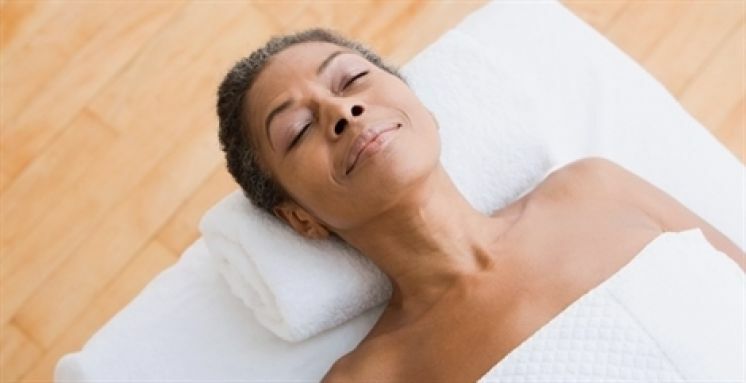 There are many specific benefits from massage for elderly people. Relief of chronic stress and anxiety, easing joint and muscle pain, improving muscle flexibility, and body detoxification can all benefit the aging individual. Massage also improves circulation, which when paired with regular exercise, can aid in assisting in the aging cardiovascular system. Sharon Puztko even notes that geriatric massage has had positive effects on patients with Parkinson’s Disease. One can achieve the greatest life-long benefits the earlier they begin receiving regular massage therapy. However, it is never too late to start! 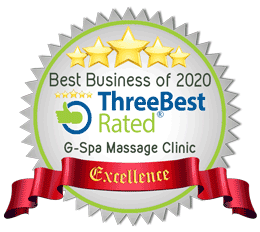 Call G-Spa Massage Clinic today to set up your appointment. There are many qualified therapists that are able to assist you with your specific needs. Also, check out this month’s Promo! Purchase any massage at G-Spa Massage Clinic and receive a FREE Hand Paraffin Add-On*! Maintaining a regular sleep schedule is quite possibly the most important thing that contributes to overall health and wellbeing. Not only does sleep give the body much needed rest, but regular sleep is also good for our brains. In any given day, our brain has to process tons of information, emotions, and experiences. Regular sleep gives our brain the chance to deeply process information that we learned and experienced, while enhancing our memory and our brain’s ability to function and recall information. Regular sleep also effects your mood and overall energy levels. In order to obtain great sleep, it is important that our circadian rhythm is consistent with our lifestyle choices. The circadian rhythm is “basically a 24-hour internal clock” that determines when your body feels alert and when it feels tired. This rhythm is controlled by your hypothalamus and by the times you wake and sleep. For example, if you wake up incredibly early and then sleep in, your circadian rhythm will be more inconsistent than if you were to wake and sleep at roughly the same times each day. However, certain hormones such as melatonin also regulate your sleep cycle. Melatonin is released from the brain’s pineal gland to let the body know it is tired and ready for sleep. Arbor Hospice states that serotonin is a “precursor to our body’s rendering of melatonin.” Since we know that massage can stimulate the release of serotonin, massage can also help our melatonin levels as well. This being said, getting a massage can really benefit the quality of your night’s sleep! Everyone has busy lives, which often leads to irregular sleep schedules. However, there are reasons across the board to practice better sleeping habits. Lack of sleep effects our productivity and performance at work, in life, and our emotional wellbeing. Including regular massage can help regulate your sleeping schedules as well. Who doesn’t love to sleep, so what’s not to love? G-Spa Massage clinic is offering a great promotion for the month of August - For each $100 you spend, you earn one raffle ticket to enter to win 2 VIP tickets ($150 value) to the LB Revival Festival! Chronic pain is one of the most stressful medical conditions to cope with. Not only does it interfere with your ability to maintain daily responsibilities, it also impedes on your liveliness. Whether you are recovering from an injury, or suffer from chronic headaches, joint pain, and/or menstrual pain, the question always arises of how to effectively manage the pain without harming our bodies in another way. Depending on what your chronic pain results from, many doctors will prescribe over the counter or and/or prescription painkillers as a daily regimen to manage your pain. Though this may temporarily help alleviate your symptoms, it isn’t always a long-term solution. Opiate dependency and addiction is a growing issue in our population. 12 million Americans have suffered from opiate dependency or addiction at some point. 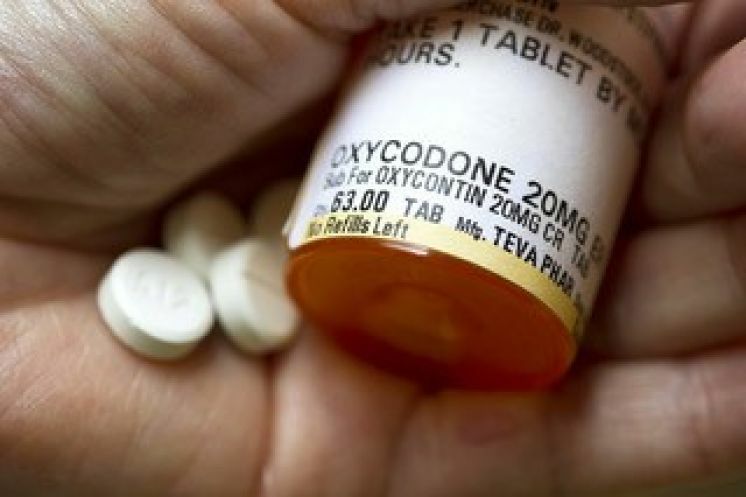 Drugs such as Hydrocodone, Oxycodone, Fentanyl, Morphine and Heroin all belong to the opioid family of drugs, because they are all made or sourced from opium. Opioids are highly addictive both physically and psychologically, making even short term use of these drugs very risky for people with a background of addiction. Narcotic abuse is defined as having a strong desire to use the drugs, inability to control use of drug, experiencing withdrawal from stopping use, and having social or legal problems related to narcotic use. This is an extremely high price to pay for dealing with chronic pain. Social, legal and additional medical problems only create more stress to the already stressful chronic pain. If you are experiencing any or all of these issues, it is important that you seek help. Resources will be listed at the end of the blog. So what is a person with chronic pain to do if they don’t want to deal with the complications, side effects, and possible dependency issues related to narcotics? Over the counter, non-steroidal anti-inflammatory medication (Ibuprofen, Naproxen, Aspirin) have been shown to be useful in treating short term pain issues to moderate to long term. Not only do they reduce pain, but they also reduce inflammation to the area. This is particularly helpful in treating conditions like tendonitis because it helps to reduce inflammation and speed up the healing process. Acetaminophen helps to alleviate pain as well, but is not an anti-inflammatory. However, these drugs also come with a myriad of side effects such as increased risk of stomach bleeding, heartburn, nausea, and possible allergic reaction. Though they may temporarily help solve your issue or steer you in the correct direction in terms of healing, you also do not want to burn a hole in your stomach, or overstress your liver. Massage is an incredibly successful way to help manage chronic muscular, joint and nerve pain. Once you attain the right therapist, you can focus your sessions to specifically focus on the issues you need most help with. This can include trigger point therapy to release muscular tension, or stretching and postural work to help with alignment and nerve entrapment. Since massage also reduces stress and anxiety, any psychological stress that may become physical can also be reduced. Use of essential oils has also been shown to help manage pain. Many of the benefits of essential oils can be obtained by diffusing, applying topically or even ingesting them. One of the best anti-inflammatory essential oils is Chamomile oil. You can apply this topically to the inflamed area via a carrier oil. Eucalyptus and peppermint also provide a relief as an analgesic when applied properly. Many others such as sweet marjoram, rosemary, thyme, and ginger have been shown to provide relief from pain and inflammation. Every long term problem requires a long term solution, which inherently also requires consistency. Whatever method(s) you choose must ultimately benefit you more than they harm you. Massage, physical therapy, and use of essential oils and other herbal remedies provide relief without the unwanted side effects of chronic NSAID or narcotic use. 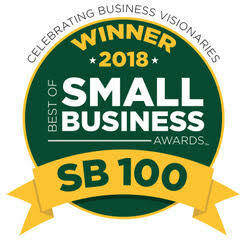 It is important to explore the options that work best for you and your livelihood. Though it is a painful cliché, “You are what you eat” couldn’t be any more accurate. Though there is still a lot of research to be done in how nutrition eating certain foods can aid you in recovering from an illness (or avoid getting one! 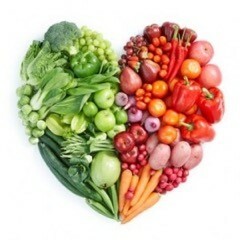 ), eating a balanced and moderated diet is an essential to maintaining one’s health overall. Your behavior, state of mind, and physical health are all impacted by your eating habits and the food that you eat. Think of your body as a car. The inside parts need to work to make the entire car move and transport you. You wouldn’t want to put some random junk in your car to make it move knowing that it will potentially cost thousands of dollars to repair if it causes damage. So why would you do that to your body? If your inner organs are stressed and/or not functioning properly because of the junk that you put in your body, it can negatively impact your physical and mental health and lead to chronic and stressful diseases. For example, regularly consuming too much fat may lead to weight gain and fatigue. Though we need some in our diet (especially the healthy ones!) to produce hormones in our body, too much can lead to several unwanted problems. However, you shouldn’t approach your life as a series of limitations on what you should or shouldn’t eat. This shaming and evasive way of living life only causes additional anxiety. Instead, try approaching life with the perspective of what will benefit you most in the long run. Eat whole foods when you can. Compiling chopped tomatoes, bell peppers, and zucchini, a serving of avocado, a serving of hummus, and rice (add nuts for extra protein!) and you’ve got a balanced meal of vegetables (also known as nutrients), carbohydrates and protein that is comprised almost entirely of whole foods. - Eat smaller portions more often. Eating more often can increase your metabolism, or at least maintain it. However, it is important to continue to choose healthy options and still pay attention to portion size. In addition, eating smaller portions makes it easier for your body to digest properly, which subsequently prevents problems like heartburn and indigestion. - Prepare your meals ahead of time. In our fast paced society, it is incredibly hard to eat healthy on a budget, especially if you also have a family. Preparing your meals and/or snacks ahead of time not only saves you money, but saves you time. Check out these great websites for a start if you need a creative boost for your meal prepping ideas! - As always, if you have a concern or are experiencing chronic problems, it is best to talk to your doctor and/or nutritionist. We’ve all heard that exercise releases endorphins, but did you know that massage can do that as well? Massage has been shown to assist with the body’s production and regulation of hormones. This can lead to a number of mood enhancing benefits. Depression and anxiety can be managed by massage. The release of endorphins also increases mood levels, further assisting in alleviating depression. Through the body’s peripheral nervous system, endorphins are released throughout the body. With specialized massage treatment, problem areas are targeted and both physical and psychological relief is experienced. Incidentally, it has been shown that people suffering from chronic fatigue disorder experience relief from depression and sleep problems when treating with massage therapy. Since regular, quality sleep is also a great combatant against depression, this is an indirect benefit to receiving regular massage therapy. Specifically, acupuncture and trigger point therapy are massage techniques that create endorphins, which can lead to an increase of both energy and relaxation. These endorphins act as natural painkillers and mood elevators. In addition, this can help lower chronic stress levels in the body. May is also Love Yourself month. Taking care of yourself through massage therapy and even gifting it to others can create a sense of ease and satisfaction in one’s life. Mother’s day is coming up, so be sure to consider gifting a massage as a gift! Since massage therapy specifically aids in healing, mood management, relaxation, and tension relief, this makes it the perfect gift for a mother. Visit our monthly offers page to find some great deals for yourself or loved ones! Pregnancy can be a wonderful and joyous time in a woman’s life. Fertility is often an invigorating reminder of the sustainability of life and family. However, pregnancy also induces many unwanted symptoms for the woman, such as fatigue, nausea, frequent urination, muscle tension, emotional sensitivity, and bloating. According to the American Pregnancy Organization, swelling of the joints during pregnancy is often caused by reduced circulation and increased pressure on major blood vessels by the heavy uterus. Massage helps to stimulate soft tissues to reduce collection of fluids and improve circulation. Being pregnant also takes several tolls on the woman’s emotional wellbeing. Swedish Massage has been shown to reduce anxiety and decrease symptoms of depression that can accompany pregnancy. Muscle aches, fatigue, and joint pains that a woman experiences can also be managed by the same massage technique. In addition, massage can also improve labor outcomes and newborn health. Since the newborn’s health is often dependent on the health and immunity of the mother, it is important to take extra care when pregnant to ensure the best health and immunity for the newborn. After birth, massage can provide unique postpartum benefits whichinclude hormone regulation, reduced swelling, better sleep, and improved breastfeeding. More advanced therapy helps restore your body to its pre-pregnancy condition, speeds healing and assists with C-Section Recovery. Since massage improves circulation, maintaining healthy blood and oxygen flow to the C-section site can aide in the healing of the surgical wound. With any major health change, one should be conscious of the choices that they make and the steps they must take to continue taking care of the body and mind. Every woman is different, so it is important to communicate openly with your certified prenatal massage therapist to adjust care to your specific needs. It’s infamy as a shift from fertility to post-menopause, causing a myriad of unpleasant and inconvenient physical symptoms is why most women don’t welcome it with open arms. Unfortunately, every woman will have to go through menopause at some point, and G-Spa Massage is here to inform you of some great techniques to manage your physical and emotional symptoms, as well as provide support during the tumultuous hormonal time. According to Mayoclinic, menopause is “defined as occurring 12 months after your last menstrual period and marks the end of menstrual cycles.” This process occurs at a different point in every woman’s life. It may start as early as 40, but on average begins around age 50. Women can also experience an extended period called perimenopause, which is when the ovaries gradually begin to produce less estrogen. Menopause comes with many physical and emotional symptoms, the most well-known being hot flashes, mood changes, headaches, and weight gain. Menopause can also cause a variety of emotional symptoms, such as anxiety and feelings of sadness and loss. These emotional symptoms are caused by hormonal changes and fluctuations, however menopause is also symbolic (and quite literally) the end of a woman’s reproductive time on Earth, which can lead to feelings of sadness, loss and anxiety. The good news is that massage therapy can help to alleviate headaches, help to regulate the body’s fluid balance, and assists in re-balancing hormone levels- all of which may need attention during menopause. Last month’s blog spoke a little about how massage can lower cortisol and increase serotonin. This can be quite beneficial for menopausal and peri-menopausal women because the reduction of cortisol can lead to less anxiety. Certain massage techniques can be employed to help balance hormones. Cranial-Sacral Therapy, or CST, can help “rebalance energy and the physical body during pregnancy, postpartum and menopause, relieving stress and any residual memories of trauma.” Reflexology and Aromatherapy can also help to reduce stress and reset the body in times of stress. Maintaining healthy habits leads to building stamina to endure life’s ups and downs. Menopause is something not to take lightly. Staying hydrated, rebalancing hormones, and relieving stress through massage therapy definitely decreases the severity of menopause and makes it much more manageable for women enduring the extra stress. There are many benefits to receiving massage besides relaxation. Massage Therapy can help improve circulation by increasing movement and relaxation of tight or inflamed muscle tissue. According to Sarah Winkler’s 5 Massage Therapies That Improve Circulation, “the cardiovascular system and the lymphatic system work together to detoxify the body, and when muscles become tight, less blood flows to the area. This leads to a build-up of metabolic waste and toxins. 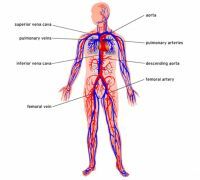 Releasing these toxins from the problem areas and allowing fresh blood to flow through will help create a healthier circulatory system. This can help reduce muscle soreness after exercise by loosening the muscle tissue to let blood flow more freely through the inflamed area. There are also specific massage techniques to aid with Lymphatic drainage. Both the rhythm and the direction are very specific to these techniques. Sarah Davis states in her article What are the Benefits of Lymph Drainage Massage that healing after surgery can be aided with lymphatic massage because it will help regenerate tissue as well as reduce swelling and scarring in the area. Other benefits include better breast feeding, improved immune system, and relaxation. Massage increases the state of deep relaxation, our breath and heart rate slow down. When excess cortisol and adrenaline exist in the body, anxiety and tension occur. Many individuals suffering from Generalized Anxiety Disorder may have elevated levels of cortisol, and thus may experience increased muscle tension in certain areas of the body. Massage therapy has been shown to reduce the levels of cortisol in the body, and increase the levels of serotonin and dopamine, as well as improve the reception of these hormones. 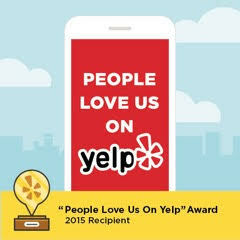 This positively impacts our mood, thoughts, and overall wellbeing. It is always important to take care of oneself first. Maintaining healthy physical and mental habits increases the wellbeing of individuals, which allows them to more easily assist in helping and giving to others. With this circular approach to giving and healing, we can experience the positive and healthy aspects as well as have the strength to survive the negative things too.